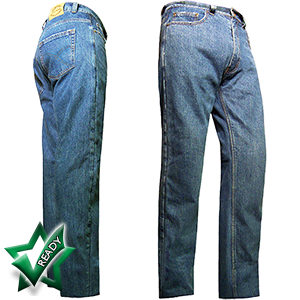 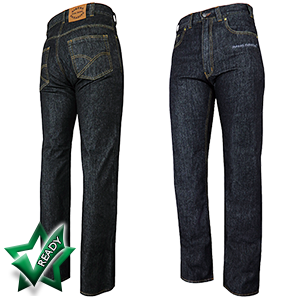 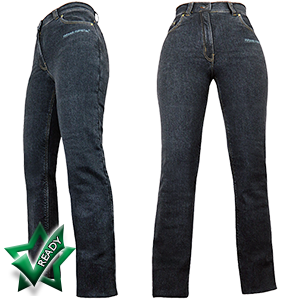 Ladies and mens 14oz blue or black denim and Genuine DuPont™ Kevlar® jeans with no unsightly seams. 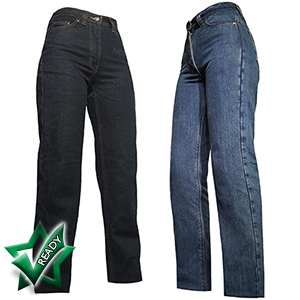 They look like normal jeans but have Genuine DuPont™ Kevlar® reinforced bum, hips, knees and shins. 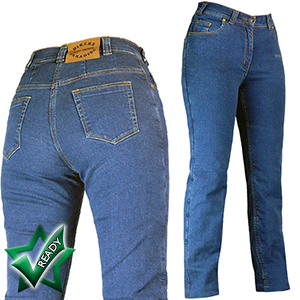 Plus optional, fully adjustable, discreet and extremely comfortable Viscotec CE memory armour available for hips and knees. 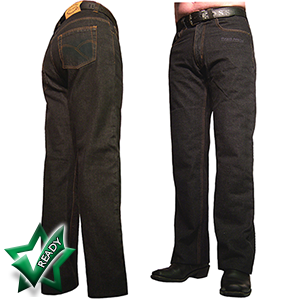 One of our most popular lines and look at the great price!